You Think Gas Is Expensive In The U.S.? | Nam Writes. You Think Gas Is Expensive In The U.S.? Holy heat failure Batman, that is some expensive gas. 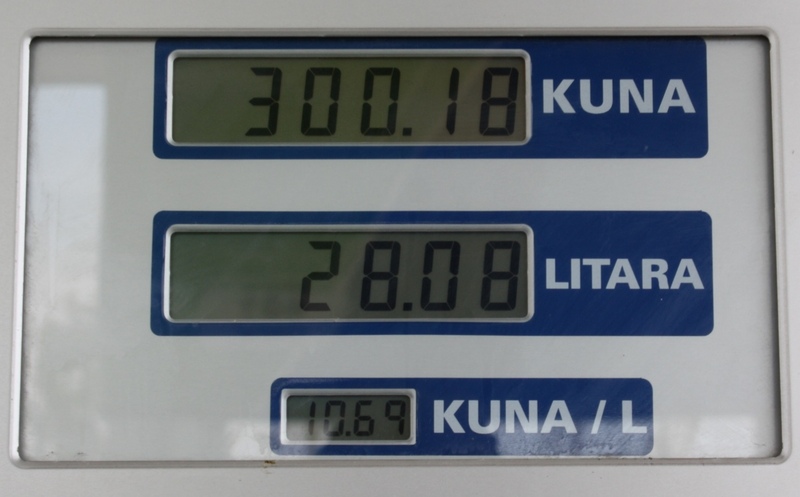 According to the handy Google machine, 28.08 liters is 7.4 gallons and 300 kuna is… Wait for it… $50. And when the wages there are 5 times lower it seems even crazier :). Maybe that’s why we saw so few cars on the highway!